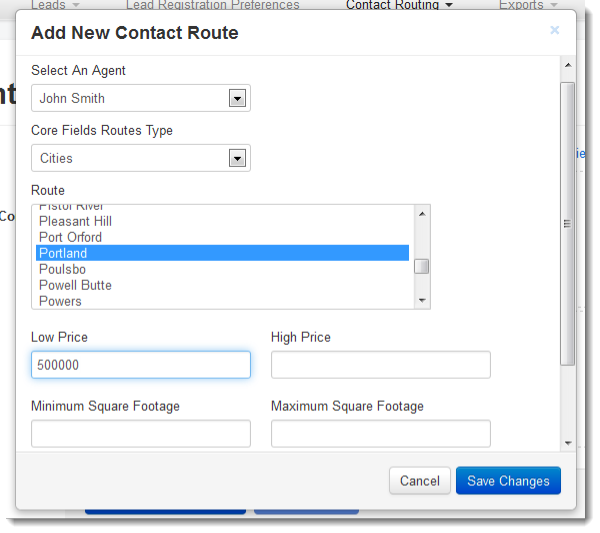 Contact routing options are available in IDX Broker Office accounts under Leads in the main menu, and Contact Routing in the sub menu. Use the Preferencesoption in the drop-down menu to set up your contact routing method, and then use the Manage option to manage your contact routing rules. 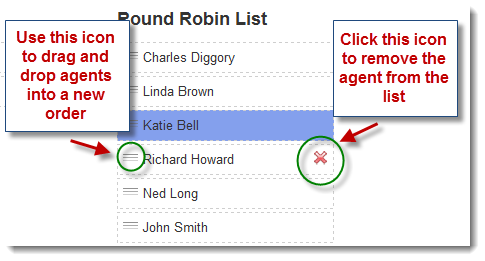 A round-robin list will route your leads to your Agents in the order of your list. 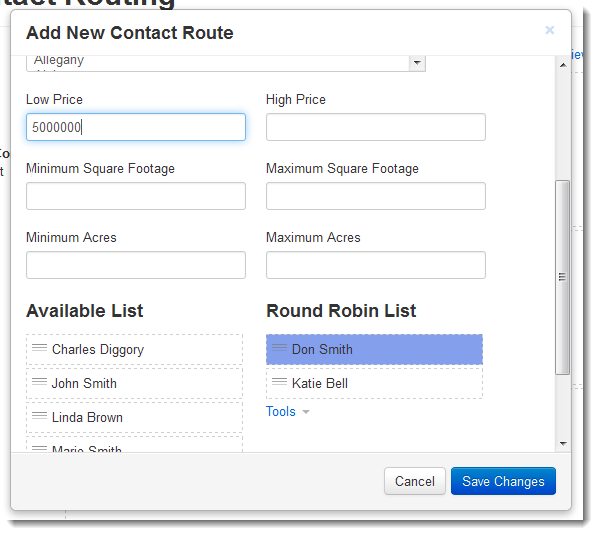 To set up round-robin contact routing, click Preferences in the dropdown menu and then set the Type drop-down menu to Round Robin. Click Save Changes at the bottom of the screen. Then click the Manage Contact Routes link in the upper right corner of this screen. Core fields contact routing can route leads to your agents based on geography, price, etc. To set up core fields contact routing, click Preferences in the drop-down menu, and then set the Type drop-down to Core Fields. Click Save Changes at the bottom of the screen. By default, core fields contact routing will route any leads that fill out a contact form on a Featured Listing to the listing agent. All other leads will come in as "unassigned" and will be sent to the primary account holder. In addition to lead routing for Featured Listings, you can add more contact routing rules by clicking theAdd New Contact Route button on this screen. A pop-up window will appear that will allow you to choose search criteria like city, price, MLS, etc. 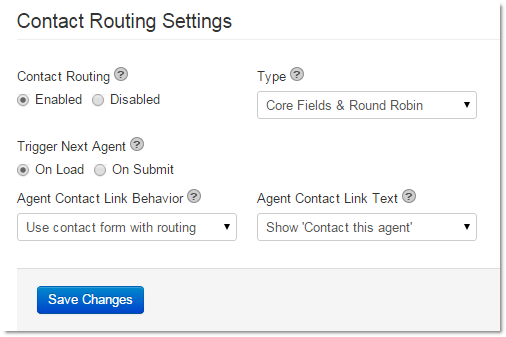 and assign an agent to your contact routing rule. Click Save Changes when you are done. 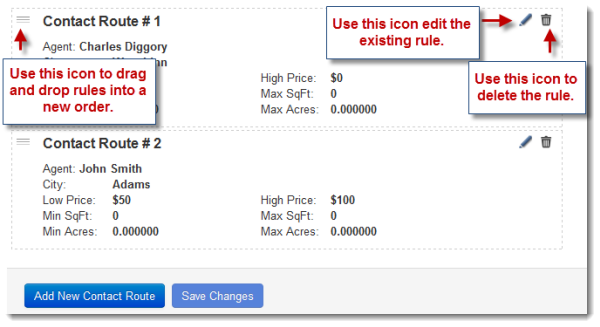 Once a contact routing rule is saved, any leads that come in that fit it's criteria will be automatically assigned to the agent specified in the rule. 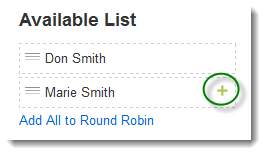 You can also set up your contact routing using a combination of core fields rules and a round-robin list. 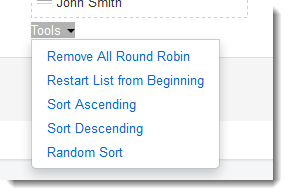 To set this up, click Preferences in the dropdown menu, and then set the Type drop-down to Core Fields & Round Robin. Click Save Changes at the bottom of the screen. By clicking the Manage option in the Contact Routing drop-down menu, you have several options you can use to fine tune how your lead routing works. Below is an explanation of each option available to you.